I’m currently planning my next vacation which is coming up in April. This year, we’re going back to California to visit my family but also spending a week in New York City. I can’t wait! 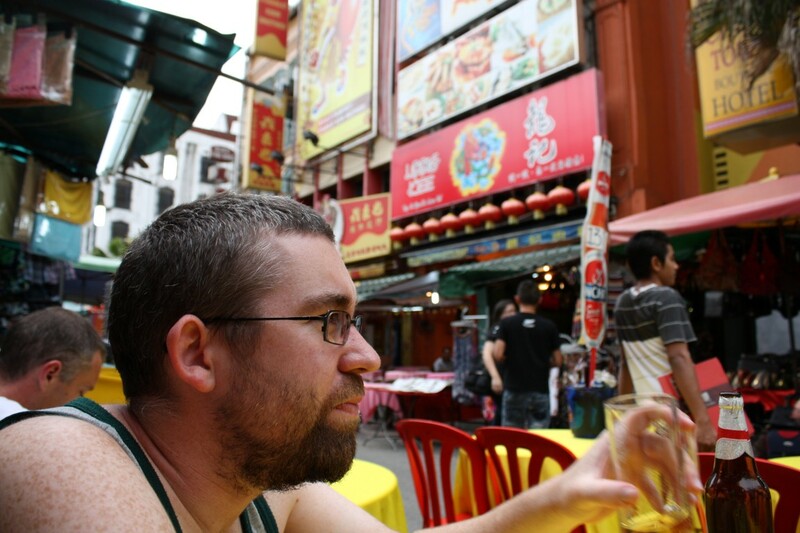 But I thought it would be fun to reflect on my big trip last year when I spent a month in Malaysia and Vietnam. It was a pretty crazy trip. I kept a diary and here is an excerpt from my second day in KL. We’re up at 6AM or 11AM NZ time. We shower and get dressed. I’m famished and I want some food and more importantly, I want some coffee. The guard at the hotel tells us to go down an alleyway to get some “Malay” food. 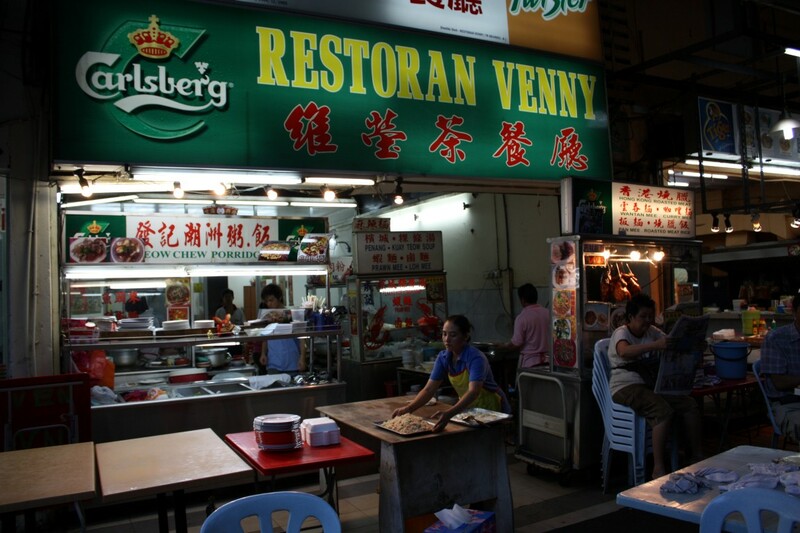 There is a small number of street food restaurants open but it’s not really Malay food. We keep walking but soon realize that it’s just too early and nothing else is open. We head back to the street food restaurant. The lady has short spiky hair and eagerly takes our order. D orders a black coffee and I order an iced coffee. She shouts “Kopi-O” and “Ice Kopi” loudly to the kitchen. I have a simple breakfast of steamed bread and a boiled egg. D goes all out and orders Mi Goreng which is a noodle dish. 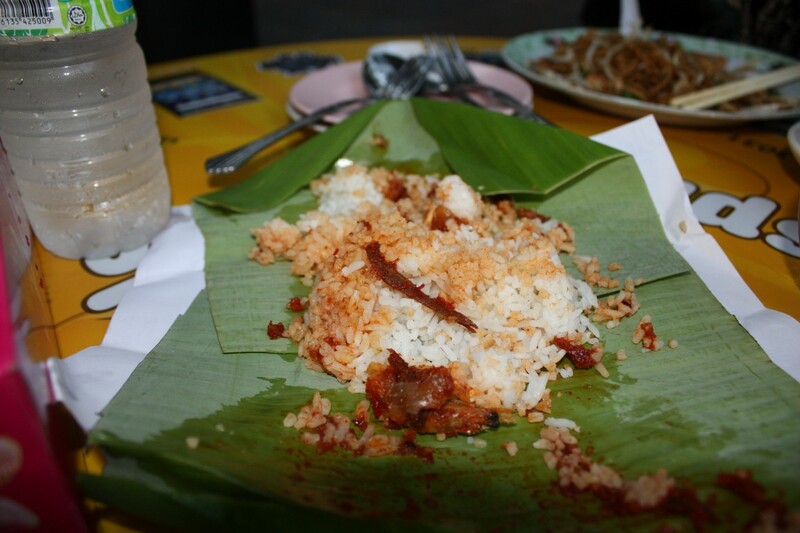 The lady also talks us into a Malay dish which is rice wrapped in banana leaves. The coffee is surprisingly good and really strong. But it’s sickly sweet. I don’t know how D can stomach noodles so early in the morning. 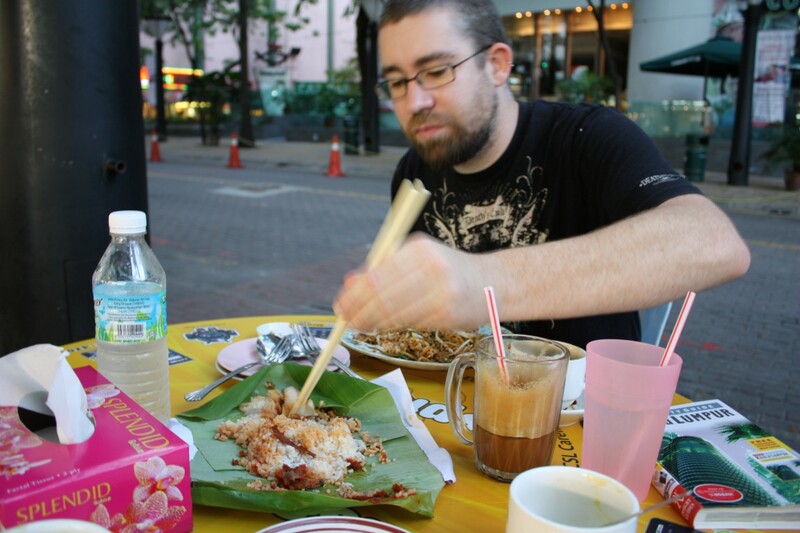 But I do taste the Malay rice dish which is delicious. After breakfast, we keep walking. Our goal is to walk to the twin towers as it’s a good way to see the city. We get to the twin towers only to realize that they are shut on Mondays. 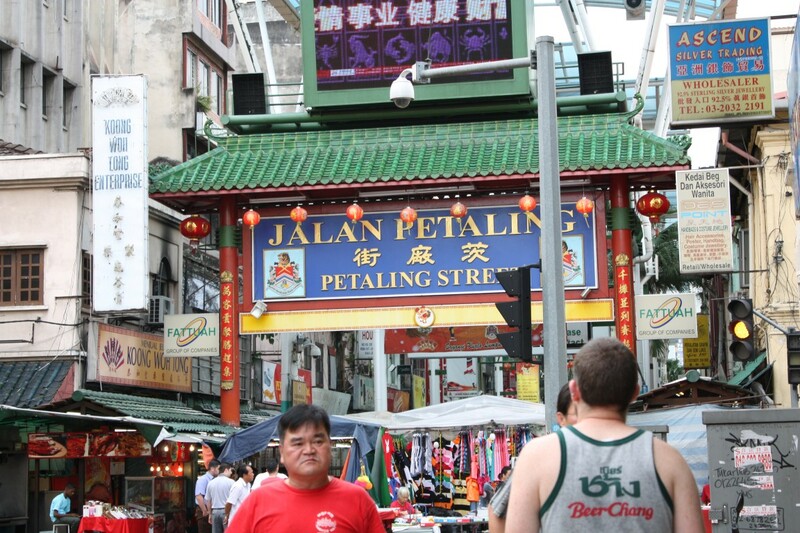 We walk back and catch the mono rail back to Bukit Bintang. We find another street cafe and order an iced coffee and juice. Free Wi-Fi is good. I quickly check my e-mail and facebook updates. I look up to see a guy sweeping the street. I love people watching. 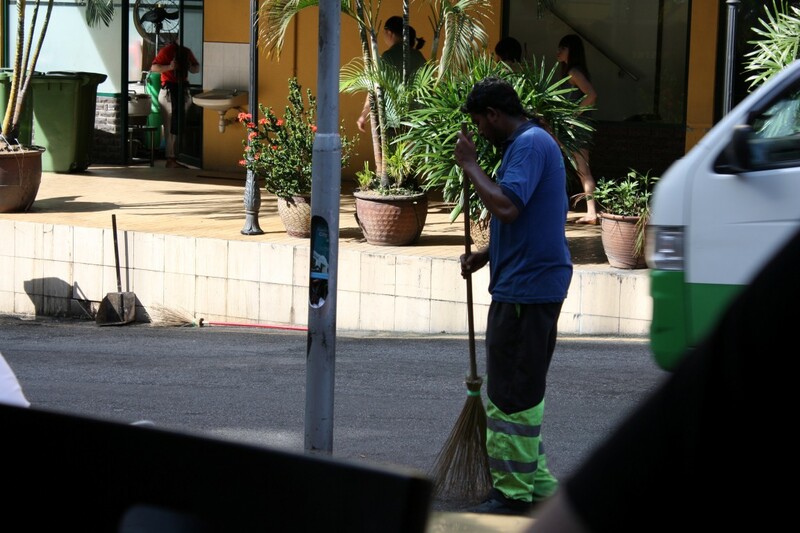 I can’t get over the fact that everyone manually sweeps the leaves off the street using an old school broom. 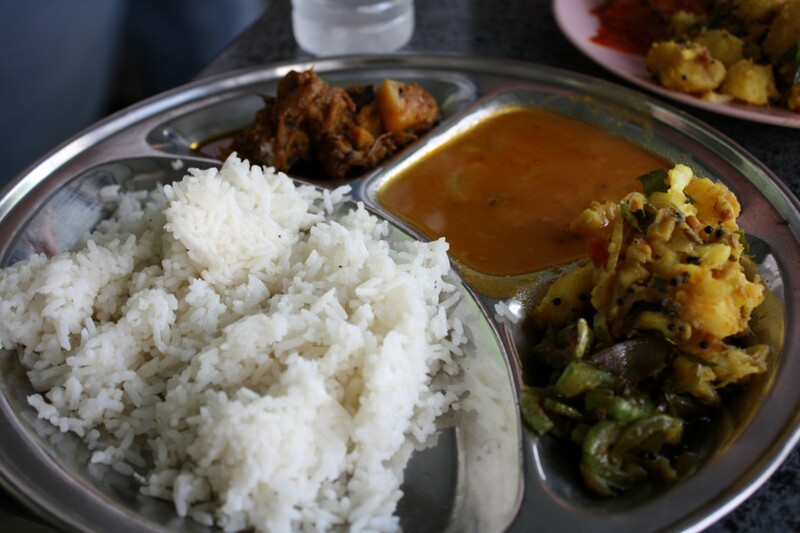 Lunch is at an Indian restaurant with a selection of meat and vegetable dishes. This is the best Indian food that I have ever tasted. The roti is flaky and warm. I peer over and see the locals eating next to us using their hands. No cutlery required. They scoop up the curry and rice with their hands and skillfully into their mouth. After checking out a few more shops, we head to Chinatown for dinner. The markets are crazy and bustling. I buy a cheap knock-off wallet to use for the trip. Dinner is a steamboat with meat and veggies. We find our way back on the monorail to the hotel. I’m exhausted. It’s been a long day. Sounds pretty cool. I recently spent a while in India. It was a learning adventure. Congrats on your vacation. I’ve actually never been to California. Sadly it’s still on my travel to-do list. Bon Voyage!